As EU stands firm, can May's plan B alter Brexit's trajectory dramatically? The spectre of Chinese telecom giant Huawei hung large over Wednesday's crucial China-US talks to end the trade war as Beijing has accused Washington of "political intentions and manipulations" in launching criminal proceedings against the firm asked it to withdraw the arrest warrant against its CFO and stop extradition proceedings against her. A 30-member Chinese trade delegation, led by Vice Premier Liu He, arrived in Washington on Tuesday to resolve the deadlock over the current trade war between China and the US. Liu, a close confidant of Chinese President Xi Jinping, is expected to meet US President Donald Trump before the two days of talks with his US counterpart Robert Lighthizer. However, ahead of talks, US caught China by surprise by issuing a criminal indictment against Huawei and sought the extradition of Meng Wanzhou from Canada. The charges include stealing trade secrets, which Chinese officials say would complicate efforts to negotiate an end to the bruising trade war. 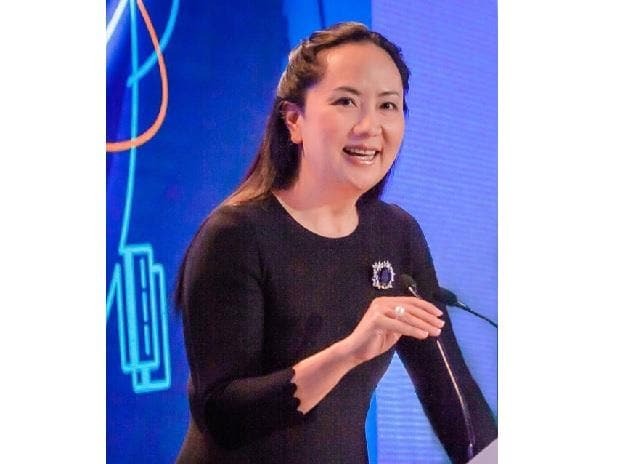 While both sides hinted at the talks to go ahead, China minced no words demanding the withdrawal of arrest warrant against Huawei Chief Finance Officer (CFO) Meng, the high-profile daughter of the Chinese telecom giant's owner Ren Zhengfei, who was arrested by Canada in December last year, following an extradition request by the US under a bilateral treaty between the two countries. Among other charges, Washington accused Meng of violating the US sanctions against Iran. The timing of the arrest of Meng by Canada complying with the US request coincided with a meeting between Trump and Xi at Argentina on the sidelines of the G-20 summit. The two leaders, during the summit, set March 1, 2019 as the deadline to find a solution to the bruising trade war under which Trump has imposed over USD 250 billion worth of Chinese exports. Trump threatened to slap additional tariffs on all Chinese exports unless China brings down the $375 billion trade deficit. Both sides were hopeful to find a solution after the recent Vice-Ministerial level talks and a deal was expected to be reached on January 30-31 talks. Earlier, China has lodged a diplomatic protest with US and Canada over the arrest of Meng, even arrested some Canadians, including a former diplomat, to pressure Ottawa to release Meng who is currently on bail. Again, the US came up with a detailed criminal indictment against Huawei and sought her extradition a day before the talks intensifying pressure on Beijing. "China highly concerned about those criminal charges," Chinese Foreign Ministry spokesperson Geng Shuang told reporters during a media briefing here. "For some time, the US has used its state power to discredit and suppress a specific Chinese enterprise and attempted to interfere in the legitimate operations of an enterprise. Those acts contained strong political intentions and manipulations," he said. The Chinese government always demands its enterprises conduct economic cooperation on a legal basis, and requires all countries to create a fair, just and non-discriminatory environment for the legitimate operations of Chinese enterprises, Geng said. "China will resolutely defend the legitimate rights and interests of its enterprises," he added. For Meng's case, Geng said China has repeatedly stated its "solemn stance on the matter." US and Canada arbitrarily misused the bilateral extradition treaty between them to unjustifiably take compulsory measures against a Chinese citizen, which has severely violated her safety and legitimate rights and interests, he said. "We once again urge the US side to immediately withdraw its arrest warrant for Meng and stop seeking extradition for her so as to avoid steering on to the wrong course," the spokesperson said. China also urged the Canadian side to treat China's stance seriously, immediately release Meng and protect her legitimate rights, and not be a cat's paw for the US, he said. He also sounded ambivalent when asked if US' move would impact the trade talks. "On the Huawei case, we made our stand clear and US is clear about it. As for trade talks our position, I think the US is also quite clear about that," he said. On whether Meng's issue would figure in the trade talks, Geng said "we hope the trade delegation of both sides would follow the important consensus reached by the two heads of the state and make concerted efforts to reach solution that can be accepted by two sides. This is the common expectation of the international community." On US decision to press for Meng's extradition, he said as US officially requesting Canada to extradite Meng, China has immediately issued stern representations with the US and Canada. Huawei Technologies said it is disappointed to learn of the criminal charges officially announced by the US Justice Department, and denied that it or its subsidiaries and affiliates have committed any of the asserted violations. Huawei also said it is not aware of any wrongdoing by its CFO and believes the US courts will ultimately reach the same conclusion. The statement said the allegations of stealing trade secrets were the subject of a settled civil suit, in which a jury found "neither damages nor willful and malicious conduct".